This week Troy Johnson and producer Archana Ram are chatting about an OB winemaker who earned heavy duty medals at a national wine competition, the new Nectarine Grove in Leucadia, and the Little Italy Food Hall project slated to open this summer with tacos from Sam the Cooking Guy and pizza from Ambrogio15. 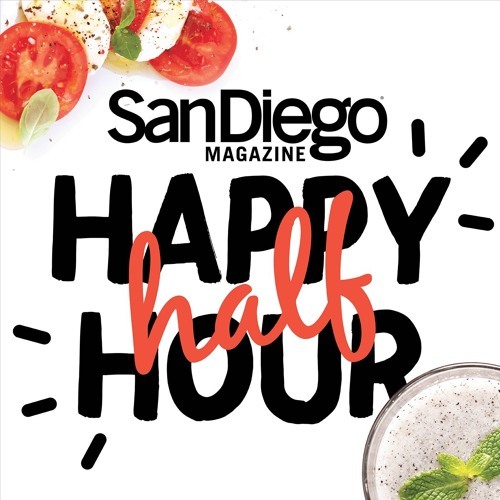 We’re excited to bring back previous Happy Half Hour guest Matteo Cattaneo, owner of Buona Forchetta in South Park and Officine Buona Forchetta in Liberty Station. He’s on the show to announce his latest concept—a non-profit Italian-style bakery benefitting local elementary schools. Located in the former Rebecca’s café space, the still-unnamed spot will serve breakfast, pastries, and more and is set to open in the next few months. That’s on top of the Neapolitan pizzeria’s already busy expansion, which includes the Enoteca Buona Forchetta bottega in South Park, a newly minted vendor spot in Petco Park, and upcoming Buona locations in Encinitas and Coronado. We end with Two People/$50, including Born & Raised, Campfire, Et Voila’s happy hour, and Tacos La Mezcla at South Park Brewing Co.